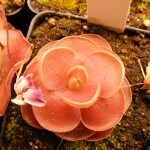 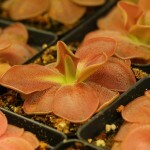 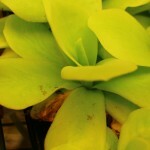 Butterworts belong to the genus Pinguicula (pronounced “Ping-wick-u-la”). 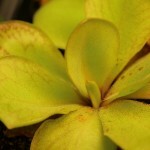 Butterworts are particularly good at eating pesky gnats and fruit flies. 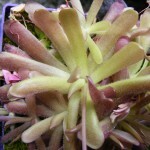 They do so by trapping their prey with sticky glands and excrete digestive fluids under and near the captured prey item. 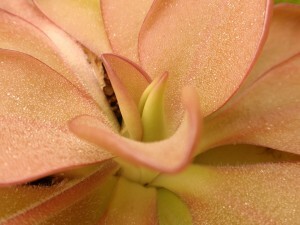 You can actually see the digestive juices on the leaves after they have caught an insect! 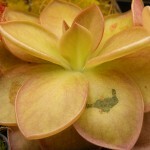 The following gallery contains prices of our available plants.